Vancouver loves to brunch, and that's doubly true on certain holidays. On Easter and Mother's Day, in particular, Vancouver restaurants offer special holiday brunches so you can celebrate in style without having to cook at home! The best spots for Easter Brunch in Vancouver cater to a wide variety of tastes and desires, from lavish buffets at Vancouver hotels to the annual Easter on Grouse Mountain (which includes brunch plus Easter Egg hunts and kids' activities), to quiet spots for a more intimate family affair. Use this Guide to Easter Brunch in Vancouver to find the perfect spot to celebrate this Easter with your family and friends. One of the top spots for Easter Brunch in Vancouver is the annual Easter celebration on Grouse Mountain, one of Vancouver's top 10 attractions. Easter Brunch on Grouse Mountain is an all-inclusive holiday affair: tickets include the three-course Easter brunch, Skyride and general admission to Grouse Mountain, and an Easter Egg hunt led by the Easter Bunny. If you want an Easter Brunch in Vancouver that is over-the-top in its lavishness, look no further than one of the excellent restaurants at Vancouver's top hotels. These Easter brunches are foodie extravaganzas with omelet stations, local seafood, and opulent desserts. What could be better than Easter Brunch at one of Vancouver's best restaurants with a view? Brunch at Seasons in the Park, at the top of Queen Elizabeth Park, then stroll the free Queen Elizabeth Park Quarry Gardens. Brunch at The Teahouse in Stanley Park, then spend Easter exploring Stanley Park. 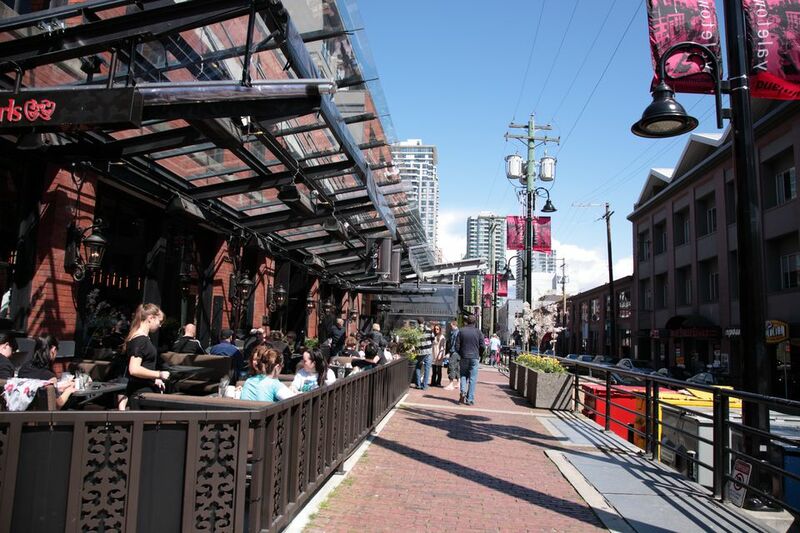 Brunch at Provence Marinaside, then stroll the Yaletown seawall. As mentioned, Vancouverites love to brunch, and we don't need a special occasion to indulge in Belgian waffles or a Dungeness crab benny. Even if a restaurant isn't having a special "Easter Brunch," you can still enjoy their brunch for Easter. Jethro's Fine Grub and The Red Wagon were both featured on The Food Network's Diners, Drive-ins and Dives, Vancouver edition.